Now that Labor Day has passed and your Summer guests have gone, let’s redesign the Guest Bedroom. 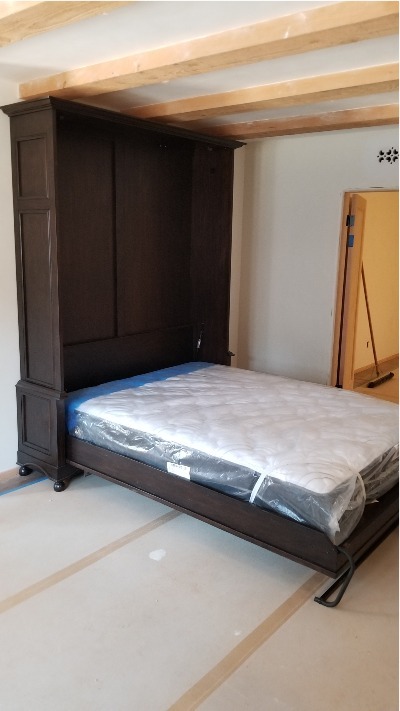 Why have the clunky in your way mattress taking up so much room when you can store it inside a Murphy Bed? That Guest Room can now be used for not just a bed, but an office, a gift wrapping station you’ve always dreamed about, or an art room. 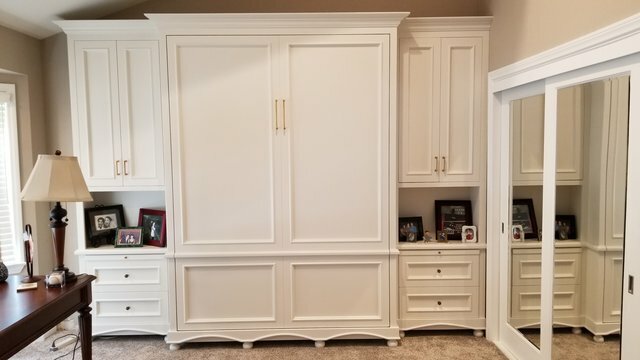 The Murphy Bed mechanism can be easily pulled down in the center of the doors or panels with a big beautiful set of decorative handles. When your guests leave, remove all the blankets and pillows from the bed and easily lift it up when you are done using it. Lighting can be used in the center upper wood top to highlight artwork that can be hung inside the center panel or for reading at night. the drawer is opened The light automatically turns off when the drawer is closed. Adding a charging station inside the Murphy Bed is a great tech enhancement as well. Before – Original Cabinetry in the room. 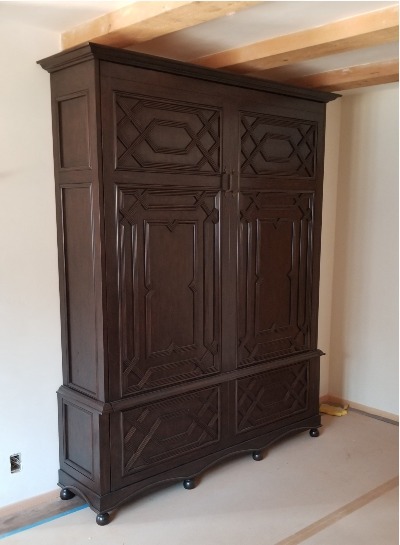 This Murphy Bed cabinet was made to look like an armoire for a Guest Bedroom. move it to the side when you want to pull down the Murphy Bed. 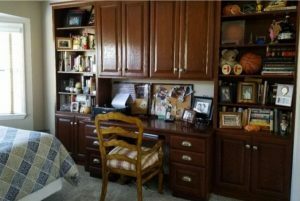 There are so many other uses one bedroom can accommodate. 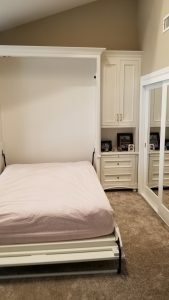 Murphy Bed – In the open position. 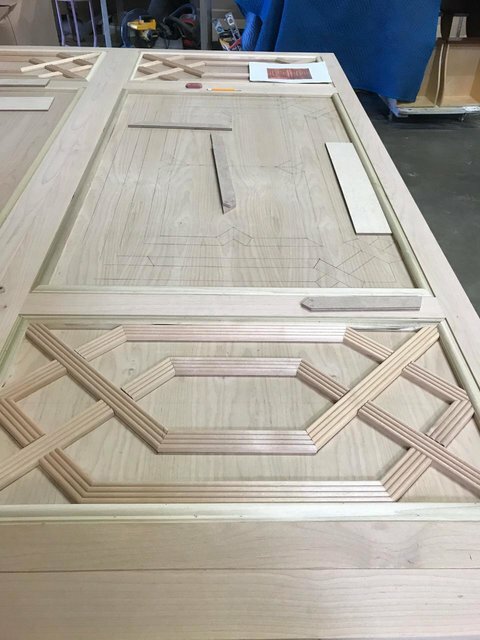 Can you see all the detail moldings that were added to make these doors so very interesting? Who’s ready to design one for that special Dog in the family?